The stunning Kassia Console is the perfect addition to your contemporary interior. Ideal for use anywhere throughout the home boasting a metal and gold finish, this console offers a stunning way of storing your most precious living accessories. Why not add further character by placing flowers, ornaments and other living accessories on the surface. 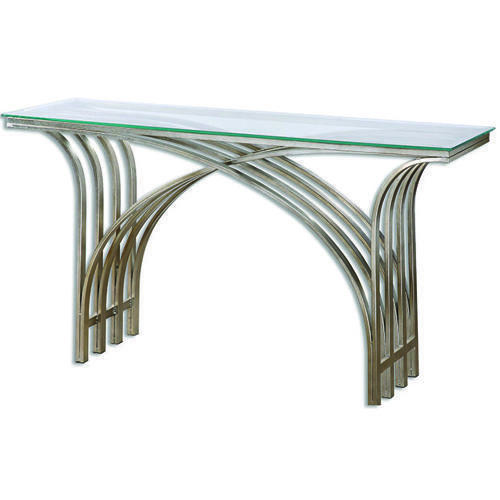 The Console is made from Forged iron in a deco style table with an antiqued silver leaf with a clear, tempered glass top.